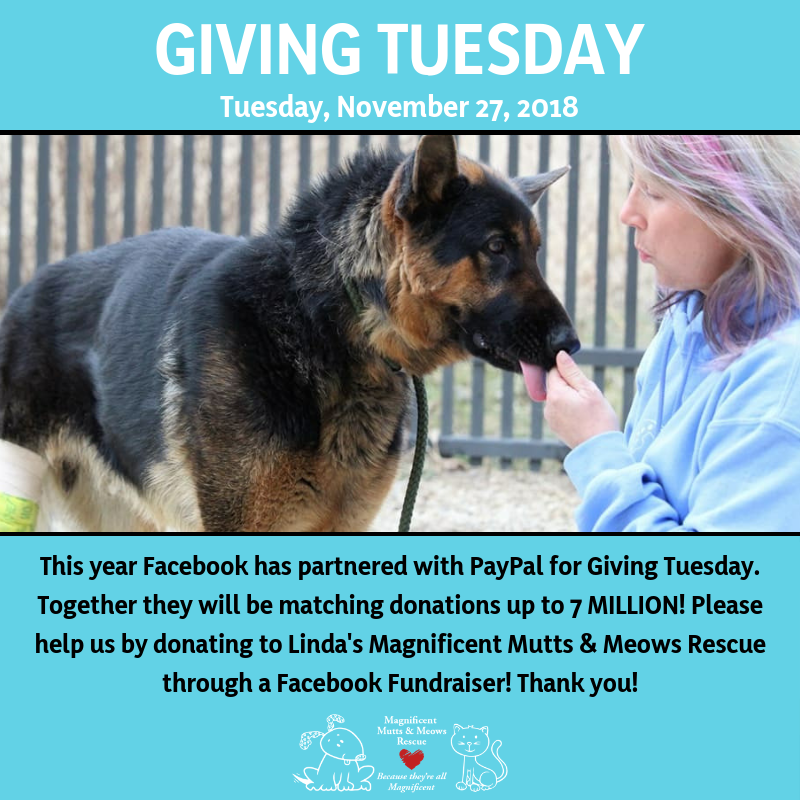 This year Facebook has partnered with PayPal for Giving Tuesday. Together they will be matching donations up to 7 MILLION! Please help us by donating to Linda’s Magnificent Mutts & Meows Rescue through a Facebook Fundraiser! Thank you!